The Hudson Valley Golf Card is your ticket to the area's best courses at HALF OFF! Play one round at each of these premiere courses for one low price! Somers National Golf Club, featuring 18-challenging holes of golf situated on one of the area’s highest points, the newly refurbished golf course was designed by Geoffrey Cornish to test the most accomplished golfers while encouraging newcomers. Tucked away in the cozy confines of Heritage Hills, we offer all the amenities of one of the finest courses, including relaxing dining with panoramic views from the club’s signature restaurant. A newly renovated clubhouse, fully stocked pro shop, plus extensive practice facilities accentuate the golfing experience, while special barbeques and patio parties provide a sporty location for mingling and making new friends. Sits on 1,000 plus acres of land on the highest point in Sullivan County. The par 72 layout has four sets of tees and will play almost 6,600 yards from the back tees. Cart paths have been added to the back nine, two greens have been reconfigured and water hazards have been enlarged. These changes bring a bit of a new look to the oldest course in Sullivan County. After a day of golf join us for a bite to eat and some cocktails at The Grill. 2017 brings a new menu to the beautiful facility and incredible natural beauty. Sitting on the back deck enjoying a cocktail and watching the unparallelled sunsets is a great way to top off an enjoyable day. Tennanah Lake Golf and Tennis Club’s Pro Shop offers a large variety of both men’s and ladies’ apparel as well as all the basic necessities. The Club also has a 24 unit motel on the property. The Inn sits directly on the eighth fairway and offers the comfort of home without the responsibilities. We now have the beautiful Wood Lake Country Estate town-homes for spacious, upscale accommodations without the upscale cost. Centennial Golf Club in Carmel, N.Y, located where Westchester, Putnam and Fairfield Counties meet, features a 27-hole championship course designed by Larry Nelson, a member of the World Golf Hall of Fame and winner of the U.S. Open and two PGA Championships. While designing more than a dozen courses worldwide, Nelson has called the 340-acre layout at Centennial with its rolling hills, ponds, natural rock outcroppings and breathtaking views, "the most naturally suited to golf" he has ever seen. Between the three nine-hole courses, Meadows, Lakes and Fairways, golfers enjoy a totally distinct and memorable experience. Centennial's large multiple tees are positioned so any combination of the three nines can be accommodating to the beginner or a test of more than 7,100 yards for the most accomplished player. Beekman golf club in Hopewell junction. Beekman Golf now offers weekend mornings with a reduced rate with a cart for just sixty five dollars. 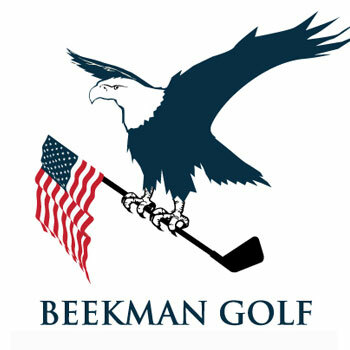 Nestled at the foothills of the Berkshire Mountians Beekman’s perfect for outtings, leagues, and with their luxury lighted tent they are great for affordable weddings and parties up to 300. .
Beekman golf now offers footgolf! Experience the newest crossover sport that combines soccer and golf. Beekman has been voted the best footgolf course in New York state, and is hosting both adult and youth championships this year. Two football courses, 18 hole accredited footgolf course and a 9 hole for fun. Richter Park is the challenging Edward Ryder design 18-hole, Par 71 Golf Course located in Danbury, CT. This public course is the finest you will play in the Tri-state area. Water can come into play on this scenic layout on 14 out of 18 holes. The greens are a Bent/Poa mix and are well guarded by one of the 49 newly renovated bunkers surrounding the course. The undulating fairways are a mix of Blue/Rye. There are 4 sets of tees to choose from that will challenge all golfers regardless of skill. Designed and constructed in 1915 by one of the greatest American Golf Architects, A.W. Tillinghast, the Lynx at River Bend Golf Club lies on a secluded 125 acre site with the majestic Shawangunk Mountainsas a backdrop. Previously The Port Jervis Country Club is now open for nonmember play. We have designed our Tee Sheet to create a “pace of play” that is usually 4.5 hours or less. Tee time reservations are recommended. Normal, individual course restrictions apply. Weekend and Holiday play after 12pm (noon).